Come and fly with the Falcons for 2019. NEED NEW FOOTY GEAR TO START THE 2018 SEASON? Registrations are open for Ferny Grove Falcons, Roy's Junior Footy. Registrations for new and returning players for the 2018 AFL Season are now open! AUSKICK starts this Friday night at Falcon Park, from 6pm to 7pm. If your kidlet turns 5 this year, BRING THEM DOWN! This Friday night is a FREE Come And Try night. 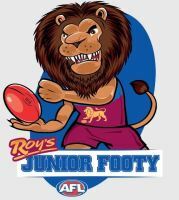 Roy’s Junior Footy is here! Sat 4th and Sun 5th Feb is Sign On Day for the Falcons, from 1000-1400. Your chance to help the Falcons! Starts February 19th to March 29th. (excluding Easter school holidays). Friday 6pm-7pm @ the Ferny Grove Falcons. On Friday evening 28th March from 5:45pm, the Ferny Gove Falcons will host the NAB AUSKICK Gala Evening. We anticipate approximately 200+ people will be in attendance. This is shaping up to be a fantastic evening with a BBQ and exhibition games. This coming Wednesday the 26/02/2014 the Falcons will announce their teams and coaches for the 2014 season. Pre-season Training is kicking off this week. 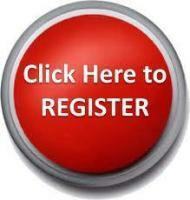 Under 11's to Under 16's training - Wednesday the 29th January 5:30pm - 6:30pm. Our Cadbury chocolate fundraising drive is well under way. Fundraising chocolates are up the club, so come and grab your box. Point of contact is Neisha Bessell, our Under 8 Black Team Manager. The individual who sells the most, gets a $100 Struddy's voucher. This weekend (Friday 19th – Sunday 21st July) is Positive or Its Pointless round. Brisbane Lions players and mascot,BERNIE “GABBA” VEGAS, will attend each camp. Bribie Bulldogs plus Jason “Aker” Akermanis take on the undefeated Maroochydore Roos at “the Kennel” May 25, 2013. For your reference, we have attached this year’s parent handbook. The handbook contains information about who does what at the club and key dates. Pre-Season training has now come to an end. From now on though it's on with team training! For every purchase you make at Amart Sports, they will give us 5% of your transaction in the form of an in-store credit to purchase new equipment. The Falcons are now looking for junior umpires to umpire our games during season 2013. Prerequisite: We would like you to be at least 13. NAB HOME LOANS. MENTION FALCONS AND RAISE THOUSANDS! The Ferny Grove Falcons would like to thank the Suncorp group for donating $874 to the club as part of their 'Belong' Small Grants program. Each year the grants are given out to community groups in which Suncorp staff are involved. The grant couldn't come at a better time and will be used to purchase much-needed new footballs and other vital equipment. Thank-you to former club treasurer Paul Anderson for organising the grant application and thanks again to Suncorp. It was a great pleasure to welcome our club patron and State Member for Ferny Grove Geoff Wilson back to Falcon Park on Sunday, Geoff and David O'leary from AFLQ were invited to our club to officially open the goal post netting and also to give president Greg Paterson the opportunity to thank them both for their assistance in the club's successful grant application though the State Government Community Benefit Fund . There has been much publicity, discussion and debate regarding the signing of Israel Folau to Team GWS and Karmichael Hunt to the Gold Coast Football Club.